Inbound marketing is a buyer persona-centric strategy that works to attract, convert, close and delight the best-fit buyers for your business. Working at every stage of the funnel, inbound marketing campaigns are built to be relevant, not interruptive, so deliver clear ROI, qualified leads and build valuable customer relationships. The B2B buying landscape has changed: traditional (interruptive) outbound sales and marketing no longer resonates. But, through persona-relevant content and relevant, helpful interactions the inbound methodology works to attract, convert, close and delight; nurturing relevant site visitors into qualified leads, valuable customers and long-term brand advocates. Why is Inbound The Answer? Why Inbound and Why Now? 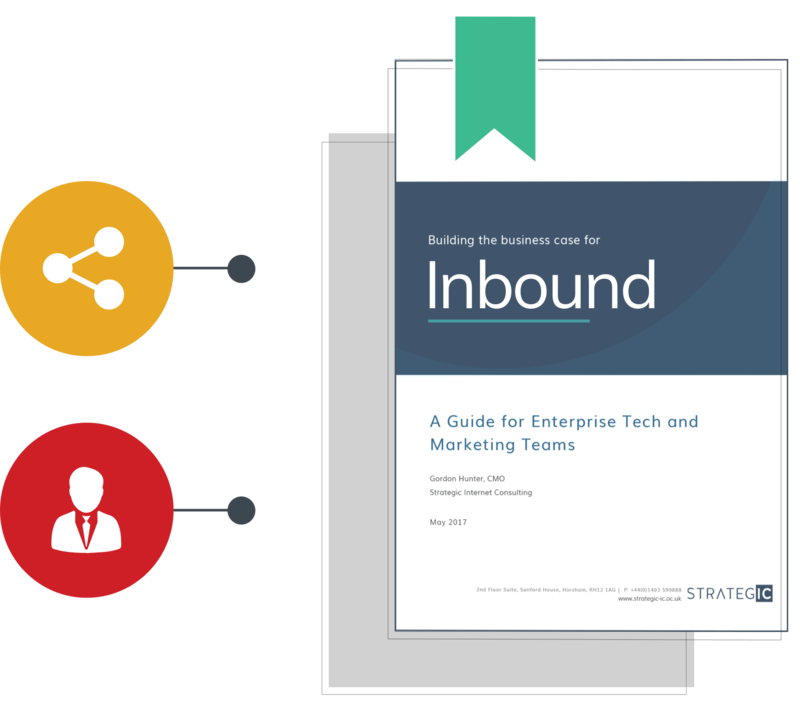 Why not download our step-by-step guide to Inbound Marketing? The guide covers everything from understanding the basics, to implementing best practice campaigns. What ROI could you achieve with inbound? Successful inbound campaigns are the ones that realistically map their goals. With this calculator, you can get a precise idea of the return you could achieve within your specific campaign timescale and budget. This executive briefing is designed to introduce and outline inbound marketing to your sales and marketing teams. It describes the objectives and benefits of inbound, showing how the methodology maps to business goals, while providing a practical framework, timelines, and steps to take to implement a successful inbound strategy. Our inbound marketing planning service and pricing structure is designed to provide clients with a strategy to fit their unique goals, with the agility to adapt to changing business remits and delivery timescales.